Shinigami- At this point you have a zanpakuto,but no shikai or bankai. what you get with the rank- With this rank you may have your Captain test you on kido and if you pass you may use it. Seated Officer(3rd till 10th)- If your Captain or another see's you worthy he may offer you a seat in his squad.However to be a seated officer you must have passed the test for kido and know all the available techniques up to this rank. what you get with the rank- if you obtain a seat then you may use all the techniques that were restricted to "seated officer" or if you get the 3rd seat you may use all the techniques under the restriction of "3rd seat" as well. At this point you my learn "shikai"
Lieutenant- Also known as Vice-captains,you are chosen by your captain. what you get with the rank- Command of your squad when captain is out or killed,advanced kido. Ability to train your squad members. Captain- Is the squad leader.To be a squad leader you must be appointed by the captain commander and approved by 2 other captains. what you get with the rank- Command of your squad,ability to appoint a shinigami a seat or choose your vice-captain as well as Super advanced kido. With this rank you must train your squad shinigami. Zero Division captain- Leader of the assassination group. what you get with the rank- All the captain abilities,as well as a few other special abilities that will be given by your commander. Captain Commander- Is the leader of soul society. what you get with the rank- Everything available to a shinigami. You also become a moderator of soul society. 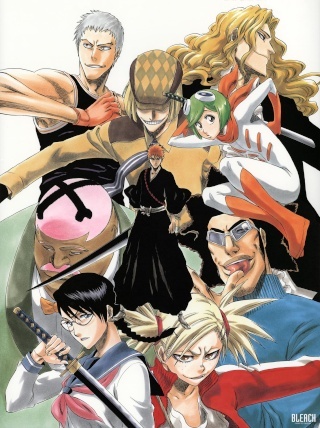 Números- These Arrancar are the combat specialists. They are assigned a two digit number at birth from 11 to 99 to indicate their age (Número 11 being the oldest, while Número 99 is the youngest). The basic Número uniform consists of a white-collared jacket and robes held with a black sash. However, the uniform is customizable, giving each Número a sense of individuality. The fighting ability of Números is thought to be superior to all other Arrancar, except for the Espada (current and former). To become a numero arrancor you must spar with a current one,and show enough skill to evelve. what you get with the rank- Ability to use Sonido,cero and bala. Privaron Espada- 3 digit arrancor,also known as the "old espada". To be one you must have been a espada and lost your position in it. what you get with the rank Everything a espada gets. 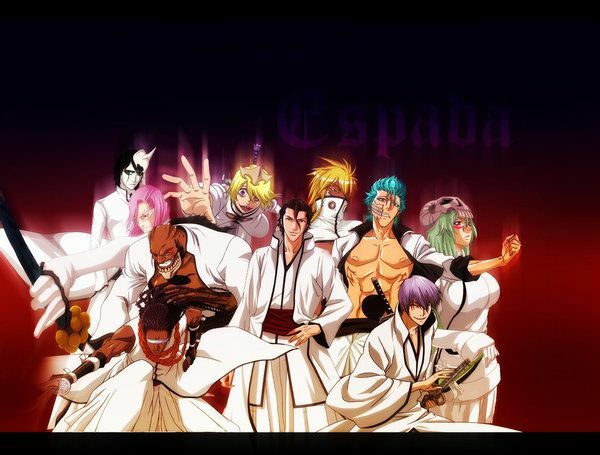 Espada- 10 of the espada are the top of the chain of power in Huenco Mundo.To be a espada you must be chosen by the leader of Huenco Mundo,or challange and beat 1 of the current espada. Espada 0- is the leader of Huenco Mundo and has speed,power equivalent to that of a captain commander. what you get with the rank Same as espada,get to moderate Huenco mundo(become a mod),lead the whole army of arrancar. restriction- To become a vaizard you must have been at least a seated officer of the shinigami for 1 month and pass a test given by a shinigami or vaizard mod. Novice vaizard- is a beginner. -Captain level shunpo,shinigami kido and ability to summon your Hollow mask. -Cero and bala equivalent to a adjucas. Senior vaizard- a expirienced and trained vaizard. -Cero & bala that equivalent to a Fraccion. Vaizard leader- The leader of the group. -Cero and bala that is equal to a espada's. what you get with the rank- Can use a advanced spirit bow in battle that can shoot 200 arrows at once. what you get with the rank- Becomes a Quincy mod and gets a bow that shoot 1200 arrows at once. You may have 2 races at once.Meaning if you have a vaizard bio,you may also have a arrancar or shinigami or quincy bio. 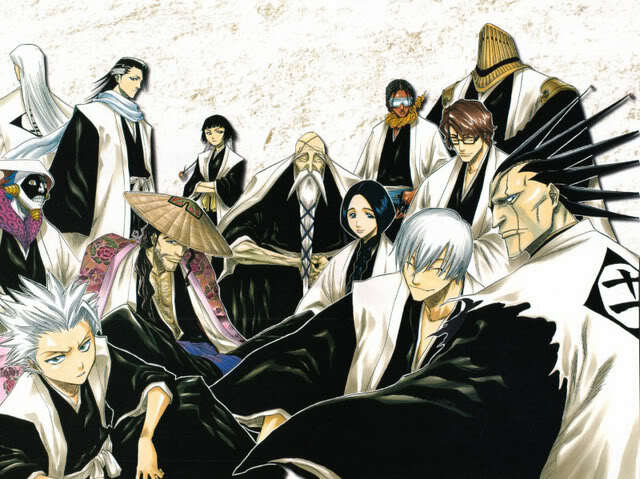 However there is only 1 rule.You may not be part of 2 groups.Meaning you can only be in 1 of the fallowing groups at a time: vaizard,arrancar or shinigami or quincy. Say I have a shinigami and arrancar bio.That doesn't mean I can be part of both groups,I must choose which will be my dominant bio and choose that group.